About Us – Pure Food Joy! To help others enjoy delicious, healthy foods with ease. Our family loves to eat and spread the joy of indulging in foods that are good for you and taste amazing too! We share great recipes made from the seasonal, fresh produce on hand, plus showcase our favorite local producers and places to dine. Our goal is to help others reduce the consumption of refined and processed foods. We offer tips to help solve picky-eater problems, prepare better baked goods and instill healthy eating for all ages. This adventure began with Vanessa's lifelong love of cooking. 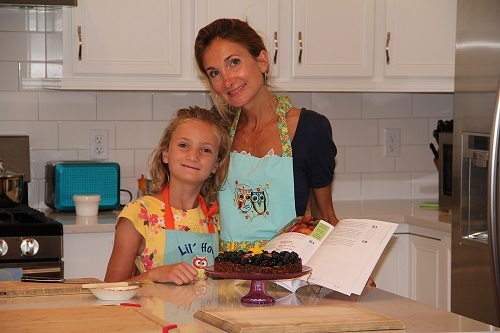 She went from sandbox pies to bake sales, from cooking for her college mates to feeding her growing family, from writing her first recipe at age 8 to placing in her first cooking contest at age 21 and then on to publishing her 1st cookbook "Pure Food Joy!" in 2017. Vanessa has a talent for combining the best flavors to make healthy foods taste amazing! Her background in agriculture and natural foods has given her insight on how to keep "Pure Food" eating practical and economical. This is shown in her book Pure Food Joy!. (make it a link to sell book) In her book Vanessa guides readers on how to fully stock a kitchen that will efficiently produce nourishing whole foods for every meal. Her book also provides 2 indexes; an ingredient index which encourages seasonal eating and helps to reduce waste along with a subject index which helps individuals prepare meals that cater to special diets and situations such as gluten free, paleo, vegetarian, slow cooker friendly and more. There are over 100 recipes and tips that are sure to satisfy everyone's needs. Vanessa enjoys supporting the local farmers and producers by creating great recipes with their product. Sign up for Vanessa's Weekly Feed to for great seasonal/local recipes delivered to your inbox.